These kids are not sitting on the Group W Bench. If you know the reference, raise your hand! 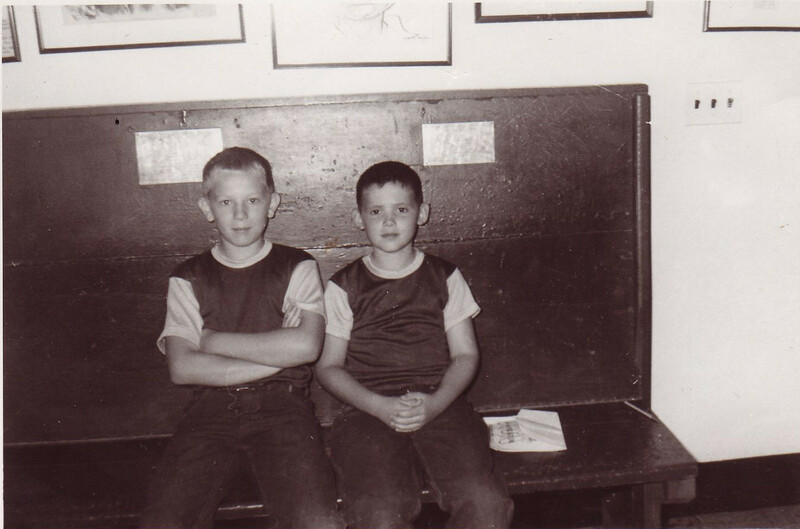 The kid on the right is my dad, Pat Lowry. On the left is my uncle and godfather Charles Lowry. The photo was taken around 1960. I have no idea why they are wearing matching shirts. Do you? Leave a comment!